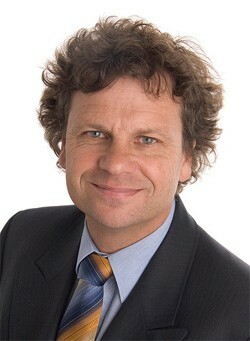 Philanthropist, social entrepreneur and Australian of the Year, Simon McKeon has kicked off his newly raised public profile by outlining the top issues that he believes will shape the Not for Profit sector in 2011.
outlining the top issues that he believes will shape the Not for Profit sector in 2011. Simon McKeon lists public accountability, embracing technology, managing volunteers and reaching out to Australian business as the ‘hot topics’ in the charity sector in the coming year. And he’s urging those in the Sector to take part in Pro Bono Australia's upcoming online survey to gauge the thoughts and ideas of those working at the coalface. In his acceptance speech as Australian of the Year, McKeon said he would dedicate the year to promoting the Not for Profit sector and philanthropy in general in Australia. McKeon has told Pro Bono Australia that 2011 will be a year of increased scrutiny of the Not for Profit sector which he says is a good thing because he believes the magnifying glass will be being used by people intent on supporting the sector in a variety of ways. He says the sector, more than ever, needs to take accountability seriously but warns that this doesn’t mean producing glitzy reports that are largely exaggerated. He says the sector needs to be very transparent and able to share its challenges with the wider community. In particular, he says charities need to reach out to business in a more intelligent way and learn the language of the corporates. He believes that while this topic has been widely debated, (in fact he says it’s a topic that has been ‘flogged’) he still believes that some charities have to get over their distrust of the business sector and put their trust in business leadership. He says there is a shortage of people skilled in interpreting between the sectors and this must be addressed. He says charities should look within their own ranks for people who relate well to business and help them make a career out of bringing charities and businesses together. Technology is also an important issue for the Australian of the Year. He says Not for Profits need to address technology and get serious about it and partnering with business could produce enormous cost benefits and non-monetary rewards for both sectors. McKeon, who is a former executive chairman of the Macquarie Group’s Melbourne Office, says one of his aims is to encourage business people to lend their talents as mentors and board members, as well as lending their facilities such as boardrooms, specialist services and IT equipment to help Not for Profits. He says there is an enormous opportunity for the IT sector to provide strategic support for Not for Profits. As well the Australian of the Year urges Not for Profits to get behind the recently announced National Summit on the introduction of the National Broadband Network as a first step. Volunteering and handling the capacity and needs of volunteers will be a significant part of the sector in the next twelve months according to many experts. Simon McKeon says over a short period of time in Australia leadership positions have gone to people in their 40’s and 50’s and Australians generally are living longer. Only a generation ago these leaders were people in their 50’s and 60’s. He says that potentially there are four decades of extended capacity for these new leaders to engage with their communities and the challenge for Not for Profits is to properly resource and manage their volunteer opportunities. McKeon says handling volunteers is a difficult task and the challenge is to be strategic and ‘up front’ about what the sector wants while offering effective volunteering opportunities. He says charities need to be the champions of cooperation and go the extra mile to make volunteering work for everyone. The 55 year old Australian of the Year, from Victoria has enjoyed a successful career as an investment banker and he has equally committed himself to engagement with the community sector. In the 1990’s McKeon transitioned into a part time role as Executive Chairman of Macquarie Group’s Melbourne office, to allow him to support a range of causes and organisations, including joining the board of World Vision Australia. McKeon is currently Chairman of the CSIRO and Business for Millennium Development, which encourages business to engage with the developing world. He recently retired as Founding Chairman of MS Research Australia and Founding President of the Federal Government’s Takeover Panel. His association with World Vision International continues and he is involved with the Global Poverty Project and Red Dust Role Models, which works with remote Indigenous communities. What are the issues that you believe will shape the sector in the next year? Watch for Pro Bono Australia’s online survey next week when you can have your say.